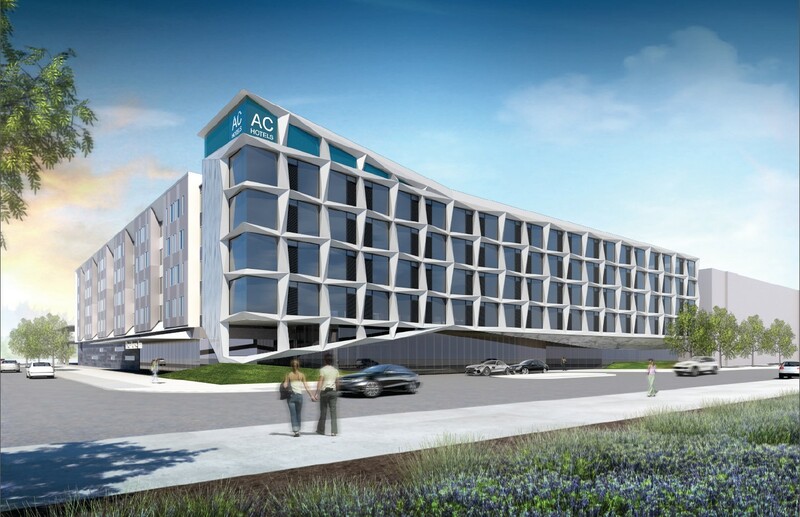 DALLAS, TX–(October 04, 2016) – Civitas Capital Group and Atlantic Hotels Group today announced the closing of the construction financing for the development of a new 256-room dual-branded AC by Marriott Dallas North and Residence Inn by Dallas North adjacent to The Galleria Dallas, a 1.8-million-SF regional mall, and within a 1-mile radius of over 11.5-million SF of office space in Dallas, Texas. 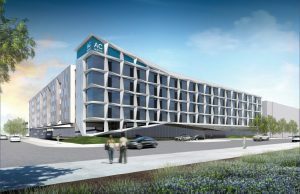 Scheduled to open in spring 2018, AC and Residence Inn by Marriott Dallas North will anchor Dallas Midtown Redevelopment Plan, a new $3.5 billion mixed-use development containing $6.5 million SF of office tower space, 9,000 residential units, 1 million SF of retail, restaurants and entertainment and an 18 acre park. The unique dual-branded strategy and execution also facilities Civitas’ fundraising process of attracting foreign direct investment on both EB-5 loan and traditional equity. Civitas’ equity partner JD Capital is a leading private equity company in China. It has US offices in both New York and Palo Alto, CA. They are advised by L&B Realty Advisors, LLP, an SEC-registered real estate investment advisor, with $8 billion assets under management. This is JD Capital and L&B’s second time working as Civitas’ equity partner in hotel development. This hotel development will be co-developed by Civitas and Atlantic and managed by an affiliate of Atlantic. The project is one of several joint hotel projects between Civitas and Atlantic within the DFW Metroplex. 5G Studio Collaborative is the architect on the project, Clark Contractors is the general contractor and Dowdle Real Estate was the land broker. Simmons Bank is the senior lender on the project. Founded in 1998 by Antonio Catalán, AC Hotels has properties located throughout Europe, Mexico and the United States. AC Hotels and Marriott formed a joint venture in 2011, leveraging the unique style and design of these upscale urban-inspired hotels with the portfolio power and distribution of Marriott International. AC Hotels by Marriott celebrates the beauty of classic modern design borne of its Spanish roots and European soul. It was conceived to create a seamless and harmonious experience for creative, well-traveled, entrepreneurial spirits who appreciate their hotel as an oasis of style and connection. Atlantic Hotels Group is a rapidly expanding hotel owner and operator with interests throughout the Dallas/Fort Worth Metroplex. Atlantic continues to embark on a strategic growth plan that complements and supplements hotel ownership and operations. Franchisees of Marriott, Hilton, Starwood, and InterContinental Hotels, Atlantic combines extensive resources and unparalleled depth and dexterity that allow the company to succeed in any marketplace. The company has a well-deserved reputation for consistently delivering a great product, great service, and great results. For more information, please visitwww.atlantichotelsgroup.com. The Civitas Capital Group family of companies provides a range of products and services for institutional investors, family offices and qualified individuals. Through its affiliates, the firm offers investment strategies to clients seeking exposure to the U.S. lodging and real estate market through its Alternative Investments and EB-5 Capital divisions. For more information about Civitas, please visit www.civitascapital.com or follow the company on Twitter athttp://twitter.com/CivitasCG. Founded in 2007, JD Capital is a public, premier asset investment and advisory firm based in China. JD was awarded as “the Best PE Investment Institution in China” in 2011, 2012 and 2015. As of August 2016, the market cap of JD Group, which includes JD Capital, is about $16 billion USD. JD Capital has U.S. offices in New York City and Palo Alto, CA. The U.S team focuses on investments in commercial real estate market, and has made or committed to several real estate investments in the U.S since 2014. Simmons First National Corporation, founded in 1903, is the largest publicly traded financial holding headquartered in Arkansas. By 2007, it had paid dividends for ninety-nine consecutive years and employed more than 1,000 people. It has total assets of nearly $8 billion. After 113 years, Simmons Bank is still on the move and committed to helping people and businesses achieve their financial goals. For more information about Simmons Bank, please visit www.simmonsfirst.com.